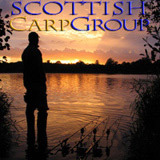 The Scottish Federation for Coarse Angling is delighted to announce that it will be hosting both the Senior Celtic Cup and Junior Celtic Cup competitions at Magiscroft Fisheries, near Cumbernauld in August 2011. The Senior competition takes place over two days on Saturday 6th and Sunday 7th August with the Junior competition taking place on Sunday 14th August. The events, which will see the best senior and junior match anglers from Scotland, Wales and Ireland compete for the title of Celtic Cup Champions, provide a unique opportunity for the public to come along, support the teams and also find out how to get involved in the sport. This year the SFCA will have coaches on site on both Saturday 6th August and Sunday 14th August to answer angling related questions and also provide the chance for youngsters to try fishing for the first time and catch their first fish. So why not come along, bring the family, get behind our boys as they try to regain these prestigious titles and perhaps even trying fishing for yourself. Magiscroft Fisheries has an ‘on site’ café with disabled access and facilities.